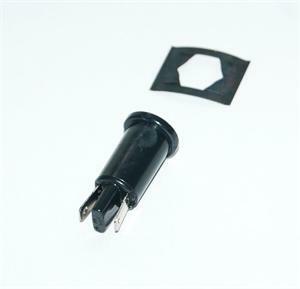 Socket; Black; Incandescent; Nylon; Polycarbonate; Snap-on; 0.500 in. Dia. Socket for incandescent indicator light. Mounting Hole Size: 0.500 in. Dia.